Dave O’Neil has been in the business of comedy for over 20 years and is one of Australia’s most recognisable stand-up comics, having performed at 16 Melbourne International Comedy Festivals and at dozens of comedy clubs nationally. On screen you will have seen Dave as Team Captain in the ABC TV comedy quiz show Tractor Monkeys, as well as dishing out life advice in The Agony of Life, The Agony of Modern Manners, The Agony of The Mind, Can of Worms, plus messing about on Adam Hills In Gordon Street Tonight and Good News Week. He is probably most well known for the honour of being the guest with the most appearances (over 50) on ABC TV’s ever popular Spicks & Specks. 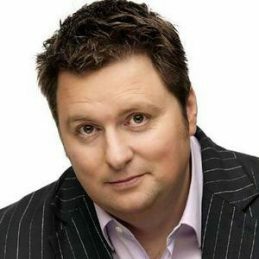 As well as his stand up and television career, Dave is a skilled radio broadcaster, and has been a part of successful teams on Nova 100 (with Kate Langbroek and Dave Hughes), Vega 91.5/Classic Rock FM (with Sean Micallef, Denise Scott, Chrissie Swan and Ian ‘Dicko’ Dickson), and most recently on ABC Radio Melbourne. He has written several books, including his latest The Summer of ’82, and Everything Tastes Better Crumbed… and other BIG Statements. Dave has written and acted in films (including starring alongside Eric Bana in ‘The Nugget’), and contributed to numerous sketch comedy shows. Dave’s observational humour and genuine humility has also made him a much sought after MC and corporate entertainer. “In true Aussie style, he comes across as a laidback friend… the difference is he’s so clever he can handle any topic and gets away with everything.” Giulia Baggio, Australian Council of Trade.